Just as with their owners, pets should visit the doctor regularly to stay at their happy, healthy best. And also like us, they can run into trouble now and then, requiring a little extra help. We’re here for all those needs, from wellness exams to specialty services. 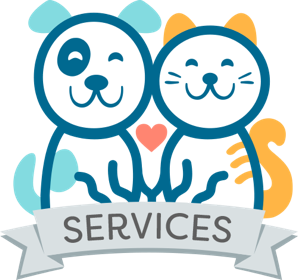 Trust our team of compassionate, well-trained professionals to look after your pets with the loving care we give our own furry families.